Wanna Start A Mom Blog? Hey MOMS! I’m glad you’ve stumbled across this page, because that means you’re a tiny bit interested in turning your passion into profit! While my original intention behind Labor Teen was to spread pregnancy education, I can’t help ignore that it’s really awesome that I’m making a little income from it as well! This page contains affiliate links….some of the links below are affiliate links, meaning at no additional cost to you, I will earn a commission if you click through and make a purchase. Alright, so the very first thing I did was browse PINTEREST for blogging tips! There are so many great resources on Pinterest, and I HIGHLY recommend once you start a blog (especially a MOM blog), that you HEAVILY dive into mastering Pinterest. But that’s a story for another day. And, guess what I named it? Guess why I named it this? I’m a starter, not a finisher. I LOVE starting new projects, but I always seem to get side-tracked, or lazy, and end up never finishing my original goals. I was so excited in the beginning, and I know I needed to tell my future self to KEEP IT UP, and not give up. So, my best advice is, talk to your future self. Take one little step, whether it’s hanging a post-it note on your office wall, keeping your phone background an inspirational message, or what I did…name your blogging Pinterest board KEEP IT UP. This totally helped me those days that I felt like quitting. I would look at the name of that board and KEEP IT UP. After browsing through Pinterest for some time, I came across Alex and Lauren from Create and Go. I cannot stress how much they helped me in the beginning! Blogging was so foreign to me, and their Launch Your Blog course guided me every step of the way. If you aren’t tech savvy, or have any experience with WordPress, I HIGHLY recommend purchasing their course (or a similar course) to help you get started. I saved a boat-load of research on HOW TO START A MOM BLOG, by just purchasing their course. Sure, you could probably find much of this information eventually by browsing the internet. But it would probably take you 3420 hours, and it would be from about 10 different sources. It was so nice to find an all-in-one source that covered the basics. I definitely felt more prepared (and more inspired) when I completed their course. They also have a Facebook support group you can join once you’ve purchased their course. And, this was one of the most helpful things of ALL. Seeing other posts and getting feedback from other bloggers was CRUCIAL in the beginning. You can take a look at their LAUNCH YOUR BLOG course here! Moving on to SITEGROUND…If you want to have a successful blog, you MUST be self-hosted. This means YOU OWN YOUR BLOG. Alex and Lauren do a great job of explaining in detail the importance of this. In fact, if you’ve already GOT a blog on blogger or wordpress.com, it’s really easy to become self-hosted! The host I currently use, and recommend is SITEGROUND! This is one thing Create and Go and I have differing opinions on. They heavily market that you should start your blog with BLUEHOST, but I DO NOT recommend this. Bluehost slowed down my site significantly, and their customer service is horrible. You also have to sign up for THREE YEARS, which I’m never a fan of. SO…if you learn anything from this page…go with Siteground, and DO NOT go with Bluehost. You can totally still purchase Create and Go’s course, and be fine to set up your hosting with Siteground. Their tutorials are not Bluehost specific. Siteground has made a world of difference for my site, speed-wise, (AND, it’s cheaper). You can get started with Siteground HERE! Once you get the basics of getting your blog set up, you need to make it look PRETTY! I personally have the Genesis framework through my blog, and I could not recommend this more. Genesis can be a little overwhelming for beginners, but once you’ve mastered WordPress and widget-use…Genesis actually isn’t too hard. I purchased a newbie theme (not Divi) when I was first getting started and I REGRET it. I wish I had just gone with Genesis from the beginning, because it really makes you look professional. Along with having Genesis, most bloggers choose to buy a child theme to go on top of Genesis. I also do this. Think of Genesis as being the FRAMEWORK for your blog, and a child theme being the actual PICTURE! If you Google genesis child themes you’ll get about a million things to choose from. I personally purchased my child theme from pipdig.co, they have a TON of pretty feminine themes to choose from, AND they also offer free-set up! That means in about 48 hours, they take your blog and make it look EXACTLY like the demo. If you get things started yourself, they have detailed tutorials you can take a look at and follow step-by-step! It took me a few hours, but overall I’m very happy with how my site looks now! THANKS PIPDIG! Ell Duclos is a twenty-something year old female entrepreneur, and I cannot stress how much she has helped my blogging career! She currently owns TWO killer blogs (Ellduclos.blog and most recently bossgirlbloggers.com). She is really killing the blog game! 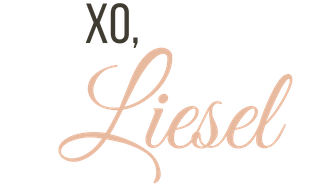 Right after I launched my blog in February of 2018, I joined her Facebook group…Boss Girl Bloggers. It’s a group filled with more than 30,000 blogger ladies, and I’ve learned SO much from all these ladies. It’s free to join this group, and I HIGHLY recommend joining even if you are just THINKING about starting a blog. Ell is so welcoming, and very active in the group. She really does a great job of reaching her members, and I really don’t feel like JUST a number. Along with being in this group, I purchased a few of her courses…and this girl has a LOT of useful info. All of the courses are CHEAP, and she stresses how important it is to her to keep things affordable. She has an awesome Pinterest Course to help with all your Pinterest needs! Ads : $758.46 (totally the bulk) – Since my traffic is AWESOME, I applied to a company called Mediavine. They manage all my ads, and help me to make the most revenue possible. You do have to have a minimum session count (how many people actually visit your blog) to apply, but I recommend them once you do! They have been stellar. I also send them confused emails ALL THE TIME and their customer support is amazing. Amazon Sales : $182.52 – This is when someone clicks on an Amazon link that I’ve placed, and makes a purchase! If you are new to blogging, it’s a great idea to get started with the Amazon Associates Program. Even if you only make a few bucks, you have the potential to earning a KILLING. Amazon has a 24 hr cookie window, so this means anyone who clicks on my links, and purchases ANYTHING within 24 hours…I get commission on what they’ve purchased! Even if it’s not the product I originally recommend. Pretty cool. Online Breastfeeding Course : $20.14 – Only a little bit, but it adds up! I had two people purchase this breastfeeding course that I recommend in the month of May. Online Prenatal Course : $19.75 – Also only a little bit, but every little bit counts! I had one person purchase the prenatal class I recommend this month. 5 Dollar Meal Plan : $2.40 – I JUST started promoting this meal plan, and I only sold one right at the end of the month…but hey…better than zero! As you can see, advertising is my MAIN source of income. This month I’m working on joining more affiliate programs, and doing a few sponsored posts so hopefully I can surpass that big $1000! I LOVE that this creation of mine has turned into a part-time job. I never thought in a million years that I would be one of those people who can make a living online, but as I’ve said before…once you realize how it’s done…it’s totally possible! My best to all of you mamas looking to create your own blogs! I’d love to be a sounding board, too, if you ever need an ear…or someone for you who knows the struggle of being a blog owner! Support is such an important part of owning a blog, and it will make you or break you! Please let me know if you guys have any questions, and don’t hesitate to send me an email! I’d love to help turn your passion into profit, just as I’ve done.